Some of the most popular jobs are taxi drivers. Offering flexible schedules, they can be done on a full-time or part-time basis or as a second job. They also require little formal education, which allows people from all walks of life to get in the driver's seat. These are great jobs for college students looking for extra money, retirees wanting to supplement their income or others who simply enjoy driving around a city meeting various people along the way. 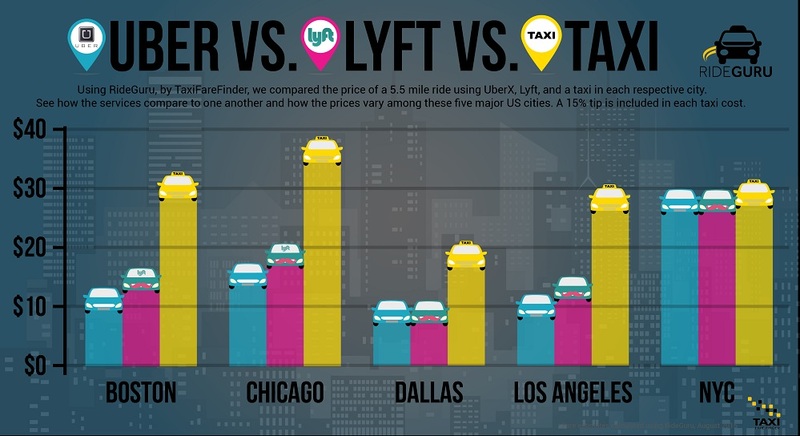 Full-time taxi drivers make an average of $22,000 per year, while part-time drivers average about $10 per hour plus tips. Most taxi jobs are available in larger cities, and those interested in driving often simply stop by the company and fill out an application in person. People who want to drive larger vehicles and transport groups of people often choose to become bus drivers. This can involve driving a bus around a city dropping off people at various stops, or driving a school bus picking up students at assigned stops and taking them to school each day. Both of these jobs require earning a commercial driver's license, which most of the time are paid for by the employer. School systems and bus companies both offer on-the-job training to new drivers, with new drivers often starting out by riding along with more experienced drivers to learn about the routes, company policies and other areas of importance. These jobs also offer both full and part-time opportunities, with school bus drivers often working only 4-5 hours per day. Both also offer very flexible schedules and provide excellent benefits such as medical insurance, sick leave, vacation pay and retirement plans. School bus drivers are often able to make extra money by driving children on field trips or sports teams to their games, adding to their income. Bus driving jobs pay close to $30,000 per year for full-time drivers, with part-timers earning as much as $20 per hour. Jobs are generally listed in newspapers, on internet job boards and are advertised on radio and television stations. For those who like to be around the rich and famous, a chauffeur job can be very interesting. In addition to working for individuals, they can also work for private companies at airports or other locations. They can drive limousines, passenger vans or other vehicles while transporting people to hotels, restaurants or concerts. Chauffeurs also transport people to special occasions such as weddings, proms and parties, making sure everyone gets to their destination on time and in a safe manner. Customer service skills are very important for chauffeurs, for they are often the face of the business and must be able to interact well with others. Chauffeurs work very structured schedules, which allow them to plan other activities around their job. Salaries average $25,000 per year plus tips, which can be a substantial part of their income. Jobs are usually listed on various online job boards, though jobs working for celebrities are often obtained through word-of-mouth by way of a friend knowing a friend who knows the celebrity. With such a variety of driving jobs from which to choose, those who love being behind the wheel and meeting interesting people each day have many options to consider. The following chart provides national average salary data from 2014. 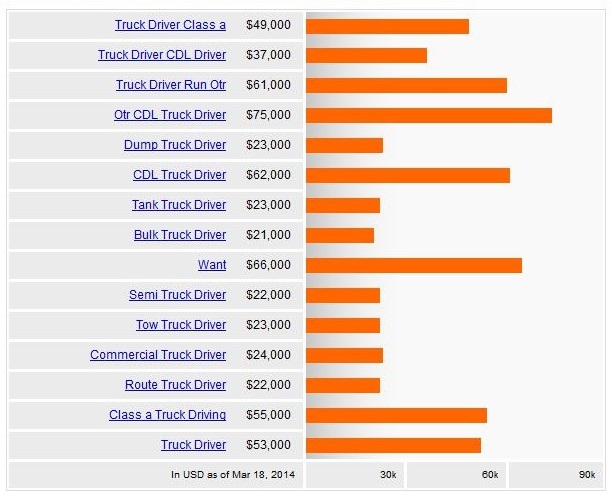 It indicated Bulk truck drivers earning the least at $21,000, and OTR (over the road) truck drivers earning the most at $75,000.